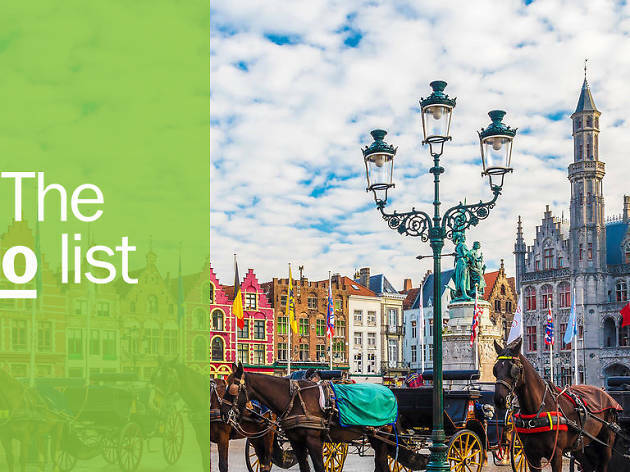 From the Art Nouveau splendour of Brussels to Flanders’ medieval cities and the rolling hills of Wallonia, there are so many things to do in Belgium, a small but perfectly formed country that is crying out to be explored. 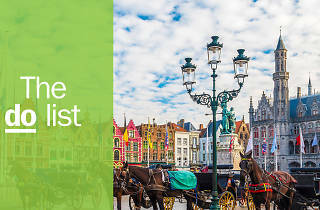 It’s ideal for active travellers, with great hiking trails, water sports and (outside Brussels, at least) excellent cycle infrastructure. The French influence is evident in Belgium’s food, with more Michelin stars per head than just about anywhere in Europe and a flourishing vegan scene in cities like Ghent. The beer needs no introduction, the chocolate is divine—and it honestly doesn’t rain as much as people would have you believe. Spend a little time here and you’ll find a country that rewards the curious traveller. Cycling is an obsession in Flanders, the flat, northern, Dutch-speaking part of Belgium. 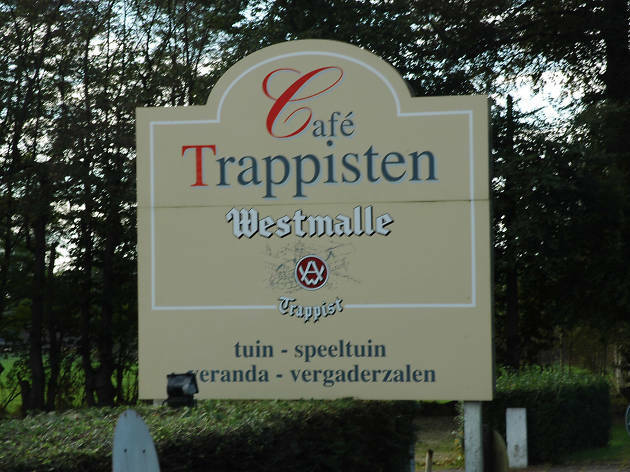 Make like a local on an early-morning bike ride that starts and ends at the Westmalle brewery, where the Trappist monks have been living, praying and brewing their eponymous beer in contemplative silence for centuries. 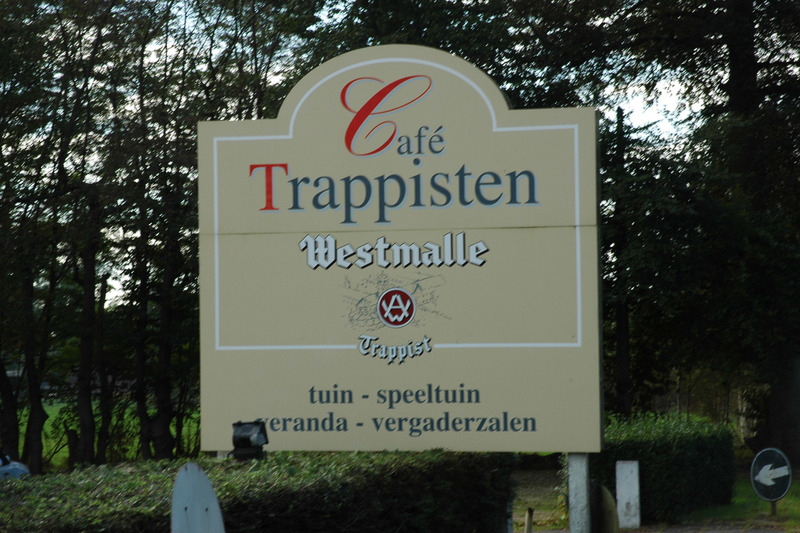 Quench your thirst on the terrace of the Café Trappisten once you’ve complete the scenic 44km circuit. 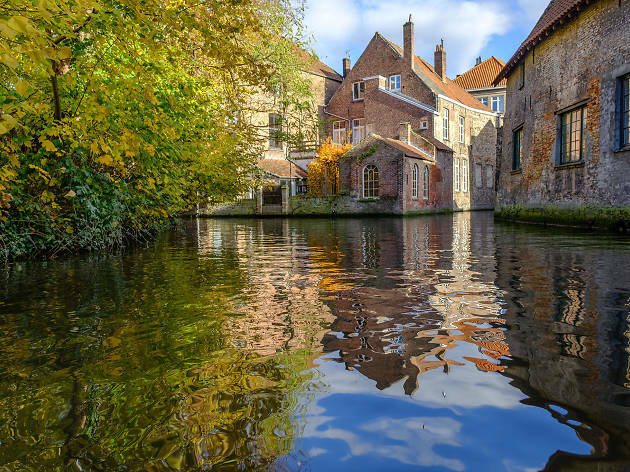 Bruges is overrun with tourists, but with good reason: it’s stunning. 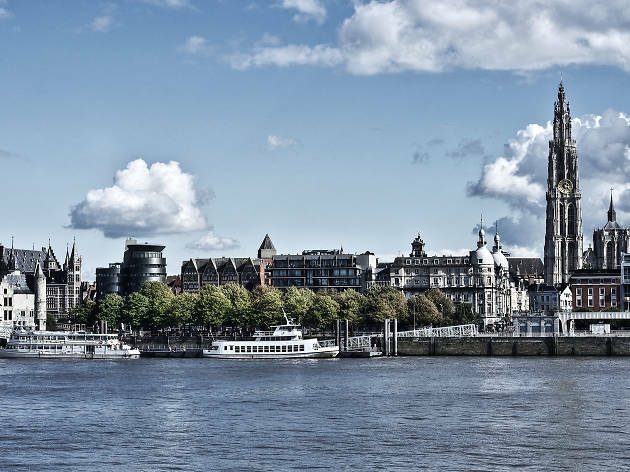 Its medieval houses, cobbled lanes, charming cloisters and meandering canals add up to a must-see city that’s easily explored in a day or two. There’s no such thing as off the beaten track here, but follow Potterierei north along the canal for a bit of respite from the crowds, then tour the brewery at De Halve Maan, where they pump their precious beer through pipes beneath the streets. Belgium’s short North Sea coast is charming. 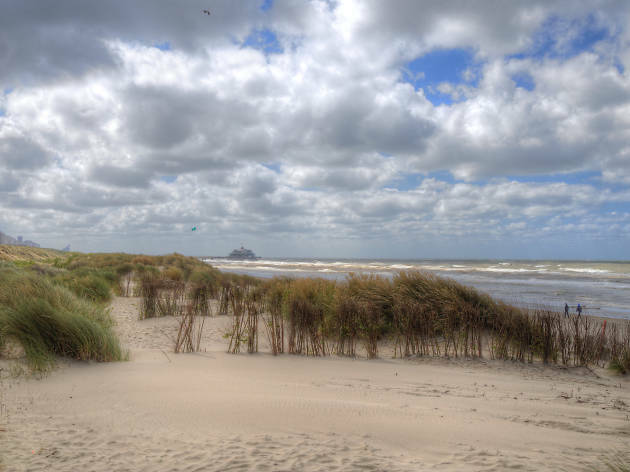 Brave the crowds at Knokke, Blankenberge and Ostend, let it all hang out at Bredene’s nudist beach, or have a breather at the Zwin nature reserve. In the evening, stroll the dunes of Duinkerke before enjoying an aperitif at elegant De Haan. The western corner of Belgium will forever be remembered as the bloodiest theatre of World War I. 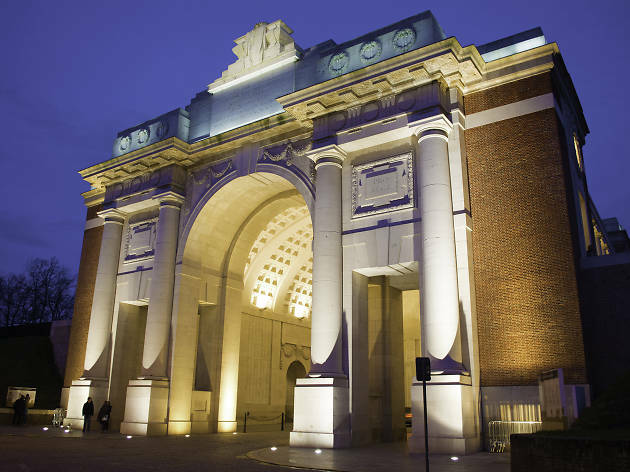 A hundred years after the armistice, the area still honours the war dead at dozens of military cemeteries and memorials large and small, with the city of Ypres at the centre of commemorations. 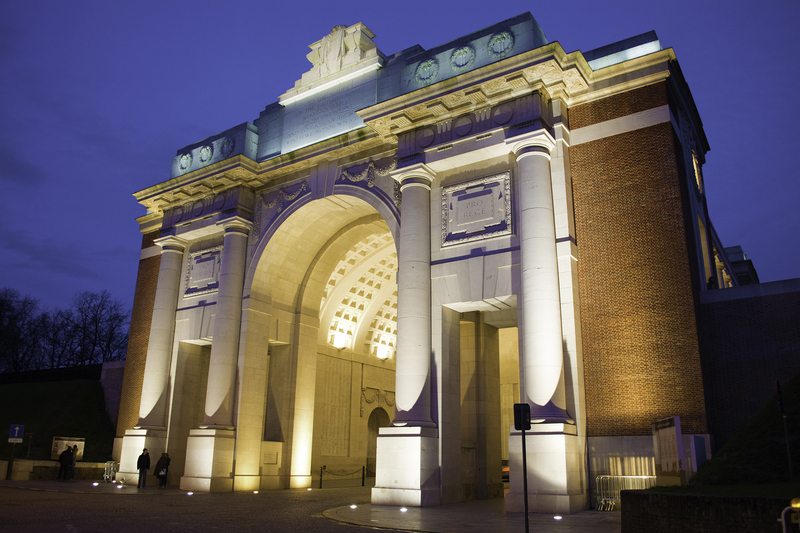 Begin at the In Flanders Fields museum, where the battles are brought vividly back to life, and don’t miss the moving Last Post ceremony held every evening at the Menin Gate. 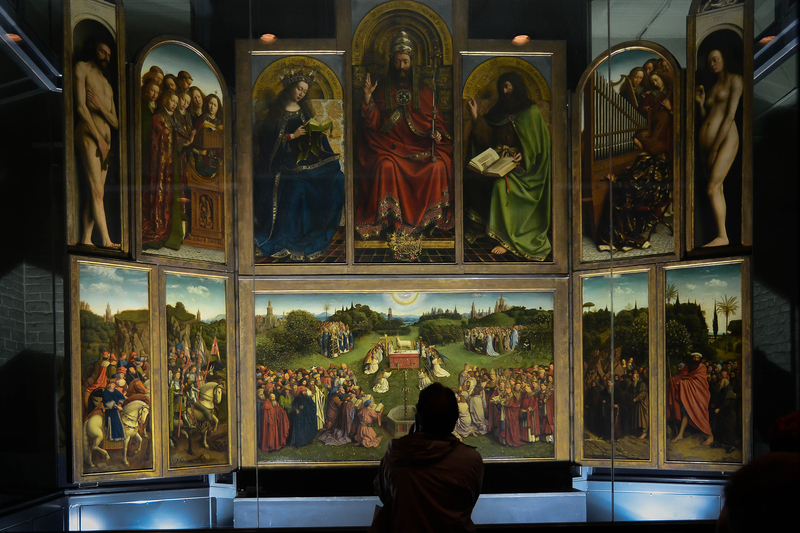 Ghent is home to one of the world’s earliest oil paintings: The Adoration of the Mystic Lamb, also known as the Ghent Altarpiece. 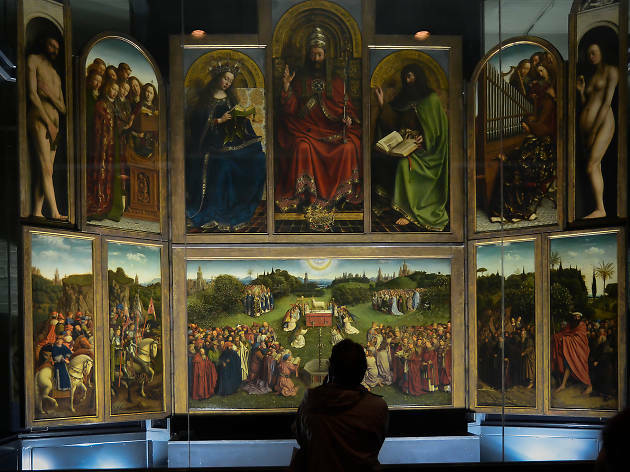 Painted by the Van Eyck brothers in the fifteenth century, the 18-panel work is one of the great European masterpieces – and one of the most frequently stolen. 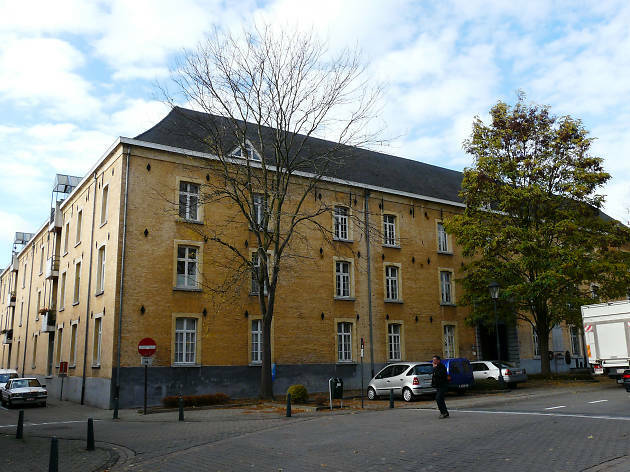 Visit the Fine Arts Museum to watch experts painstakingly restoring sections of the work, before getting the bigger picture at Sint-Baaf’s cathedral. 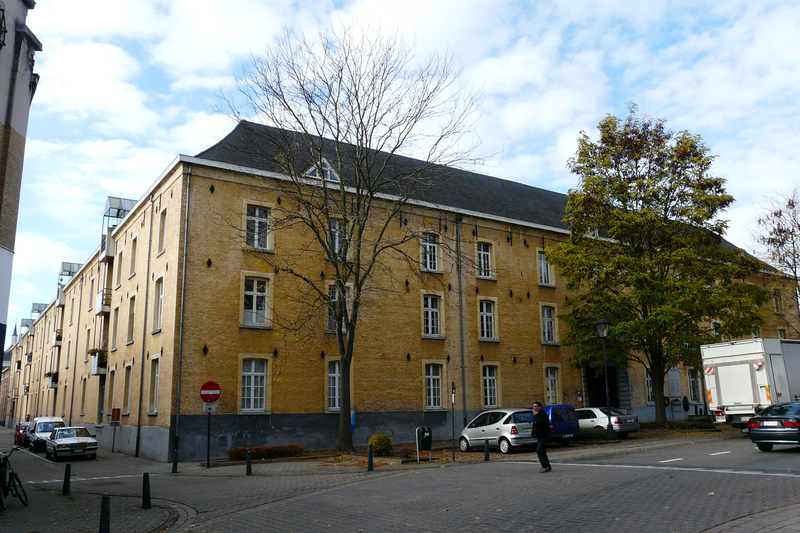 In the cathedral city of Mechelen, a short train ride from Brussels, the Kazerne Dossin museum is a chilling reminder of a dark chapter in European history. Here, at the former army barracks, thousands of gypsies and Jewish people were held before being transported to Auschwitz and other concentration camps. Through haunting exhibitions and personal Holocaust testimonies, the museum stands as a memorial to the victims while exploring wider issues of human rights and mass violence. 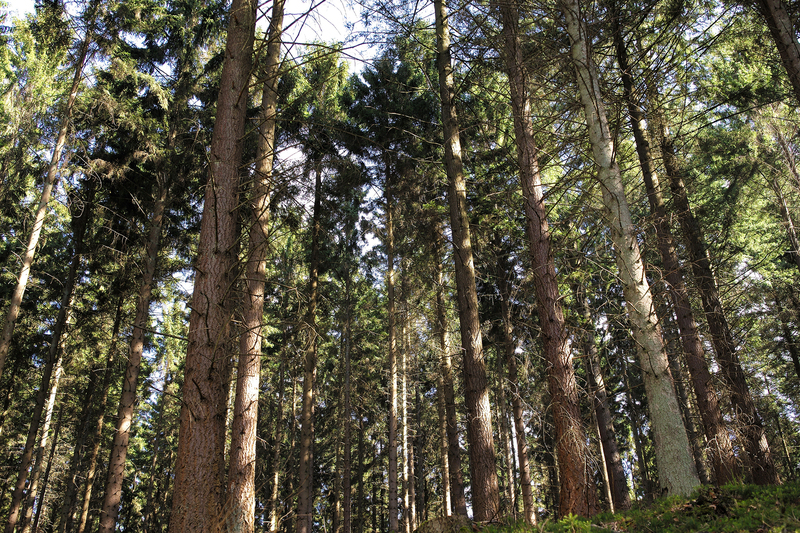 A stone’s throw from the German border you’ll find Spa, the original spa town known for its healing thermal waters. The Pierre le Grand spring in the centre of town pumps out thousands of litres of mineral-rich sparkling water every day; ride the cable car up the hillside to soak in a copper bath of the stuff at the modern Thermes de Spa, or laze in the outdoor pool with a view of the surrounding valley. Antwerp and fashion have been synonymous since the 1980s, when six local designers took London Fashion Week by storm. The fashion museum is closed for a makeover, but in the meantime you can download the app to explore the city’s stylish side. 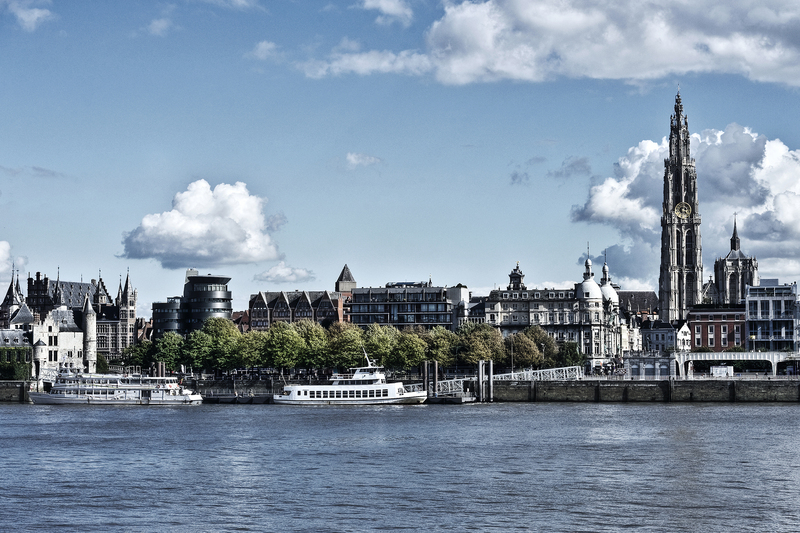 Visit the beautifully renovated Festival Hall, check out the designer boutiques, then splash out on dinner with a view at ’t Zilte, a Michelin-starred address atop the riverside MAS museum. 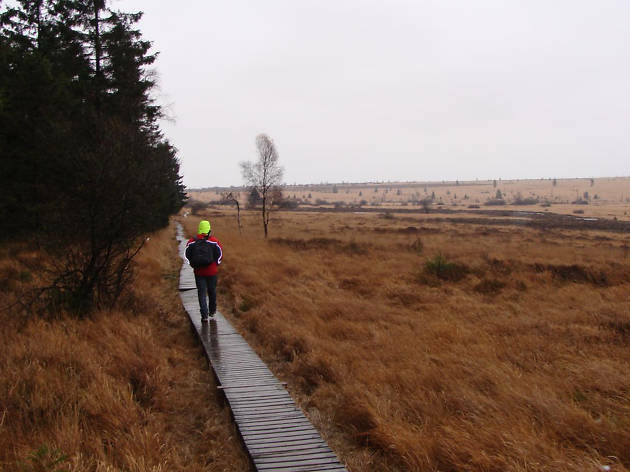 The Hautes Fagnes wetland nature reserve contains the highest point in Belgium, at a scratch under 700 metres above sea level. 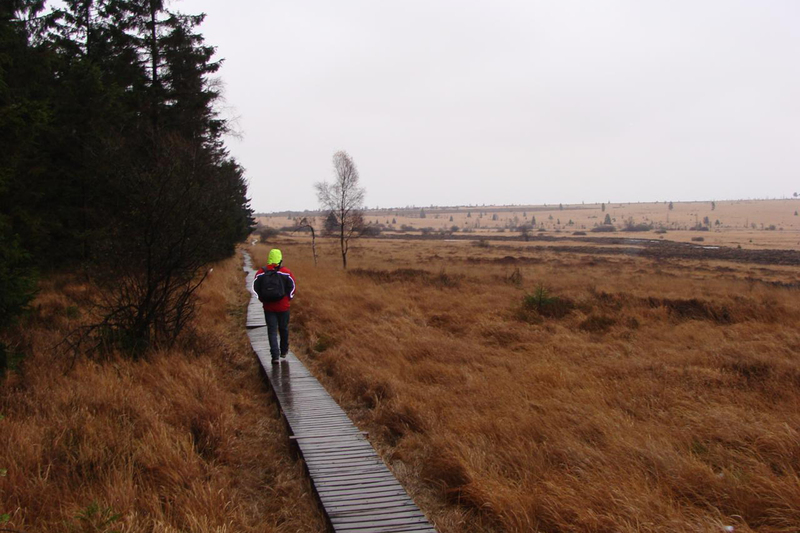 The land here is boggy and criss-crossed with boardwalks, and the park is a wild, faintly eerie place where at times you can walk for miles without seeing another soul (just be sure to take a map). 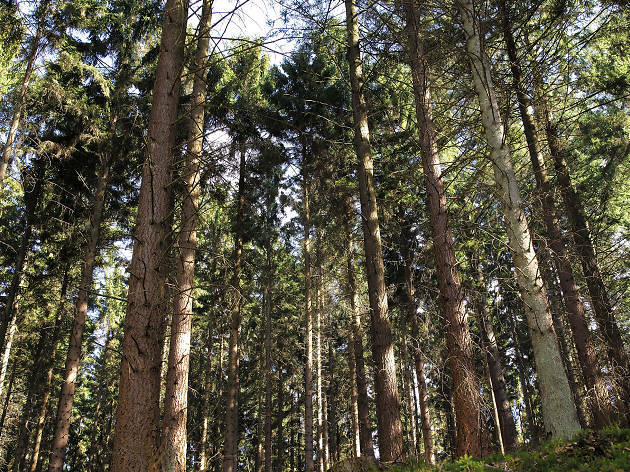 It’s rich pickings for nature-lovers, too: keep your eyes peeled for wild boar, roe deer, hen harriers and black grouse. 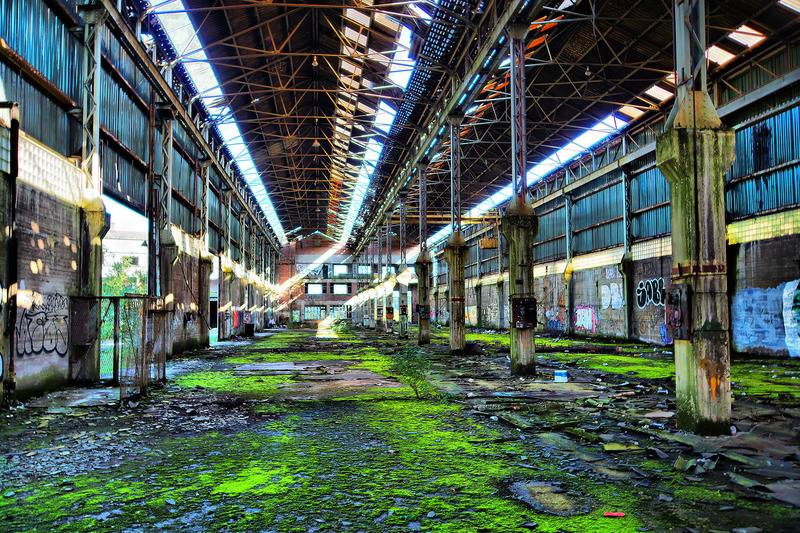 Much-maligned Charleroi is slowly reinventing itself after years of post-industrial neglect to become a centre of alternative and contemporary art. An ironic urban safari takes you to the places other tours gloss over: slagheaps, abandoned factories, burnt-out cars and the tracks of a deserted metro station, but the city’s smart Photo Museum in a converted convent is one of many spots demonstrating that things are moving in the right direction. Bucolic Bouillon sits in a forested valley in Belgium’s deep south, combining Ardennes wilderness and natural charm with French-style sophistication. While others hike its hilly streets to enjoy the panorama from on high, you’ll get a different perspective from a paddle board along the meandering Semois river. In summer, explore the town’s darker side with a torchlit night-time tour of the castle’s dungeon and torture chambers. 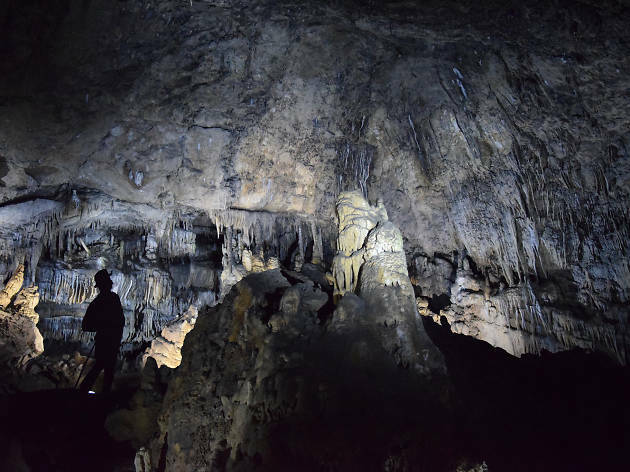 Deep beneath the Walloon countryside is the Grotte de Han, a major cave complex made up of spectacular galleries, chambers, stalactites and an underground river. It’s part of a Unesco-recognised wildlife domain with some offbeat accommodation: spend the night in the trapper’s log cabin and you’ll get dinner, drinks and a chance to give the park’s bears their breakfast the next morning. 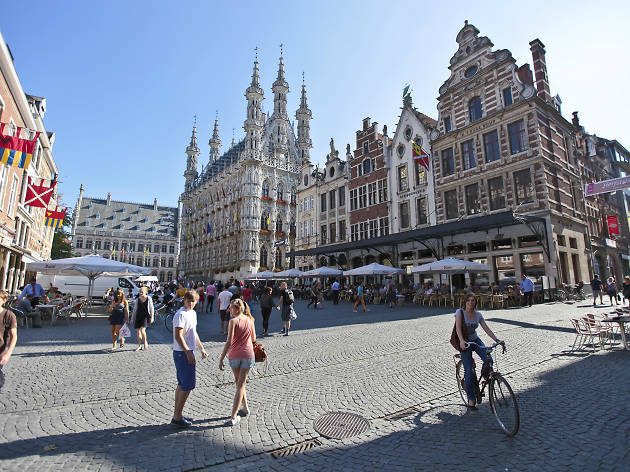 Home to Europe’s oldest Catholic university, Leuven is Belgium’s answer to Oxford. 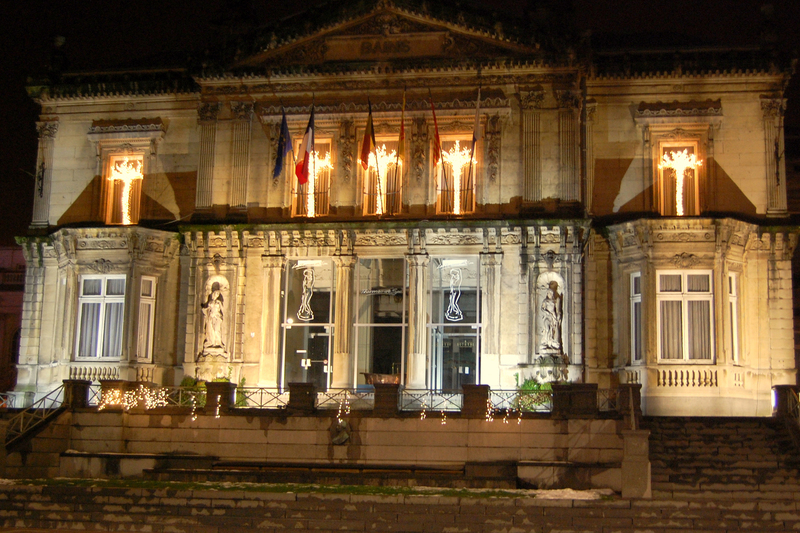 Come for the culture – the intricate facade of the town hall is a masterpiece of Gothic craftsmanship, while Museum M has an outstanding collection of old masters and contemporary art – but stay for the nightlife. Het Depot is the place to catch international acts as well as up-and-coming local bands, while M hosts a rooftop cocktail bar throughout the summer. 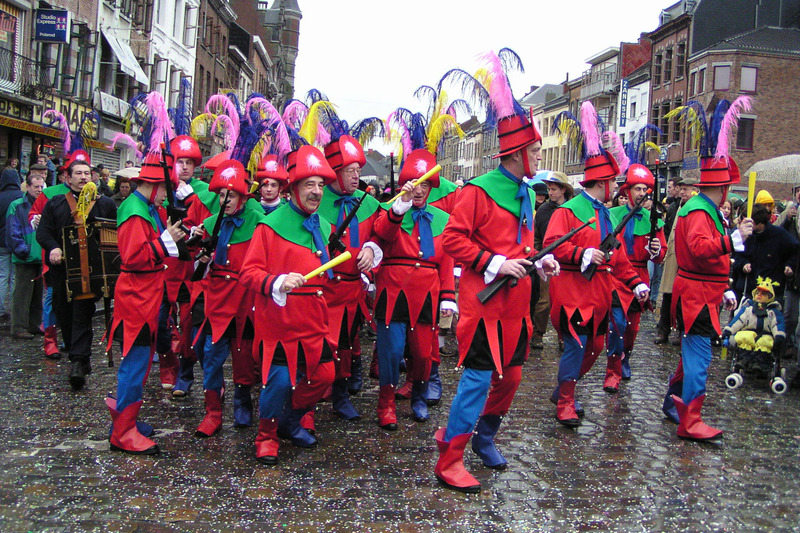 The Belgians are serious about Carnival, the festival that brings many towns grinding to a halt for several days. 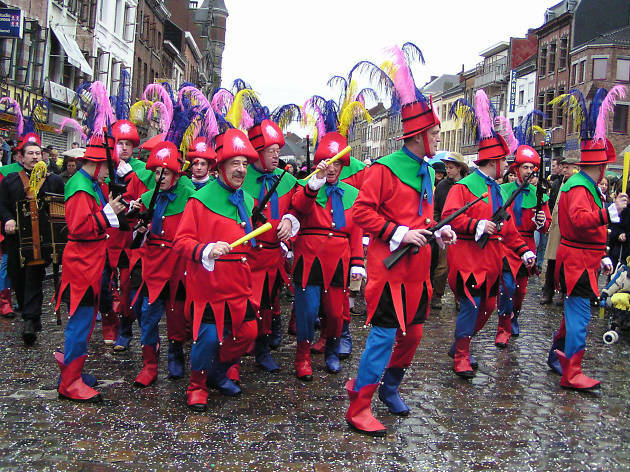 Not only is it an excuse for a week-long letting-off of steam, with elaborate outfits and centuries-old rituals, it’s an important part of local cultural identity. 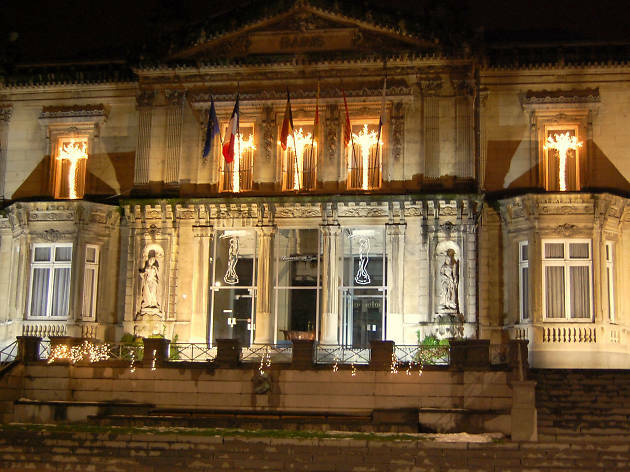 One of the best places to join in is Binche, where the townsfolk don wax face masks and ostrich-feather hats to storm the town hall while drinking champagne and throwing oranges into the crowds. With its handful of streets filled with dozens of bookshops, stationers and bookbinders, little Redu is one for fans of the printed word. 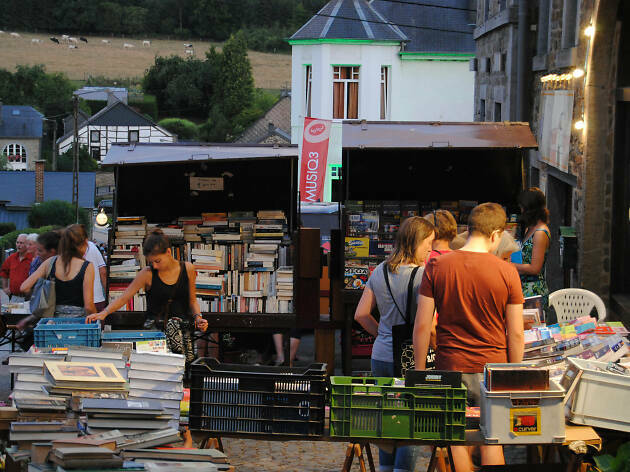 Its annual Book Night brings visitors from far and wide for calligraphy workshops and author talks, but it’s a must-visit for book-lovers throughout the year. When you’re done reading, head out on horseback through the surrounding countryside or visit the Framboiserie, where you can harvest your own raspberries and pick up farm-fresh jams and liqueurs. 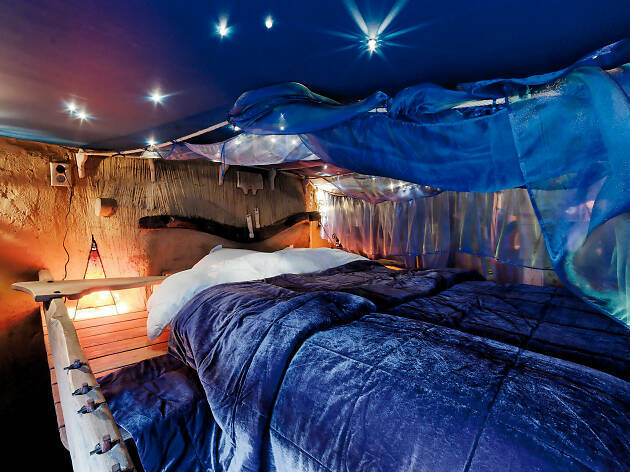 With rooms christened Monk’s Despair and Legend of the Trolls, you know straight away that Balade des Gnomes isn’t going to be your standard holiday home. Dreamed up by an architect with a love for travel and mystery, the inventive accommodation includes a treehouse, a caravan and a Gaudi-inspired suite with hot tub and sauna. This must be Belgium’s most magical place to spend the night; the on-site restaurant is equally creative in both design and menu. 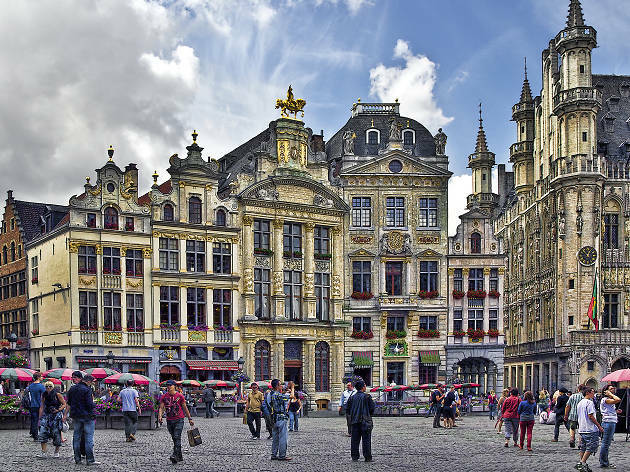 Brussels isn’t overly blessed with must-see landmarks, but the Grand Place is definitely one of them: lined on four sides by majestic guildhouses and approached by narrow cobbled lanes, it’s a medieval masterpiece. 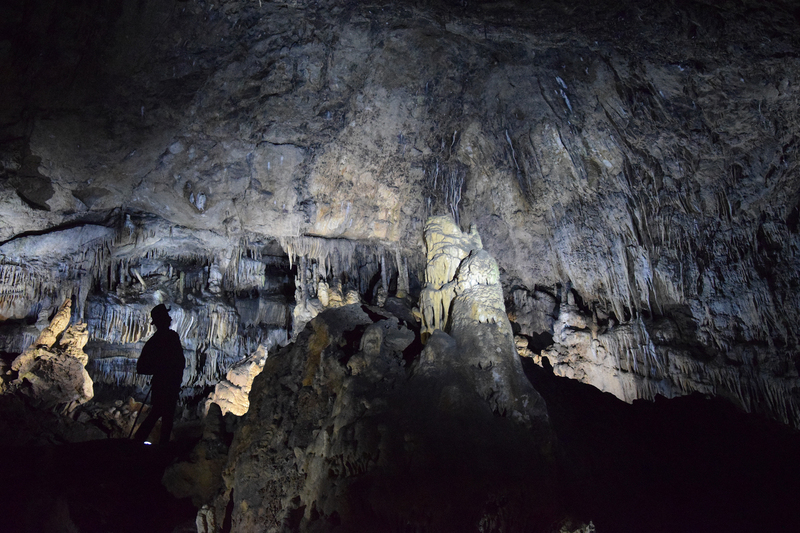 Be sure to visit at least twice, once during the day and once in the evening when the surrounding buildings are illuminated. The city museum here is free on the first Sunday of the month and worth ducking into. 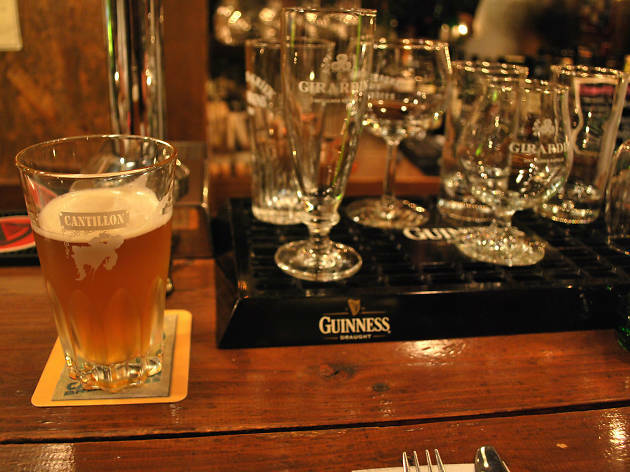 Beer is a way of life in Belgium, but only a handful of breweries remain in Brussels. 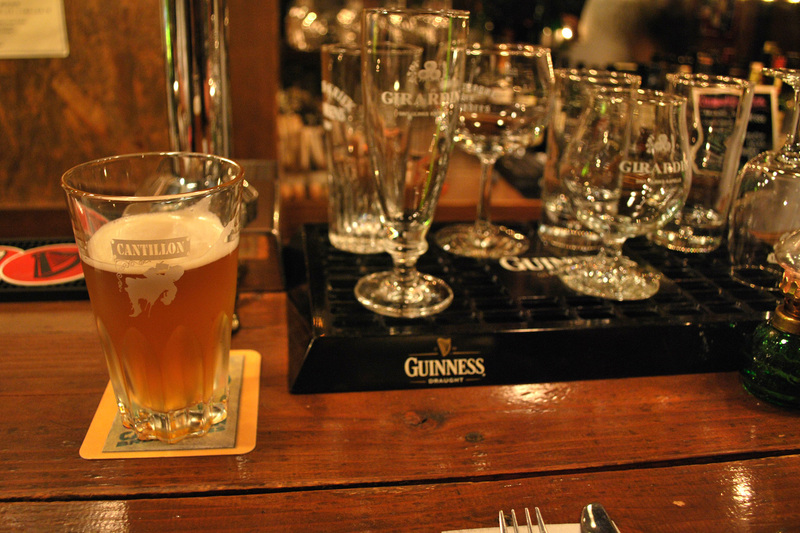 Cantillon is one of them, and beer doesn’t get more Bruxellois than this – its specialities, gueuze and kriek, can only be brewed in this area, and though their sour flavour might take some getting used to, it’s a real taste of the capital. The brewery itself is open to curious visitors, and you can sip brews in the cosy bar afterwards. You can’t come to Belgium and not try the frites and the chocolate. Marcolini and Mary are the names to remember when shopping for the latter, but when it comes to frites, expect to wait in line for an age whichever kiosk you end up at—they’re all good. 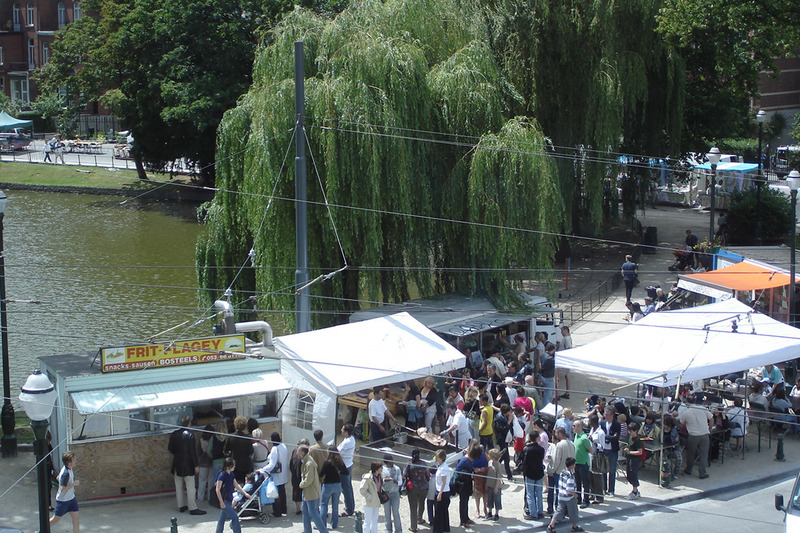 The lakeside Frit Flagey is a scenic spot to stroll as your arteries slowly harden, or you can tuck into your fries from Maison Antoine on the terraces of the surrounding bars. 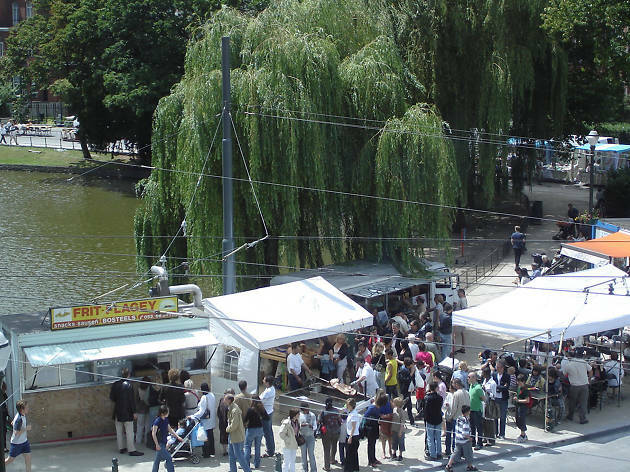 Brussels has an excellent choice of markets—from the crowded, functional Gare du Midi on Sundays to the eclectic Marolles flea market or the chichi Chatelain affair every Wednesday evening. 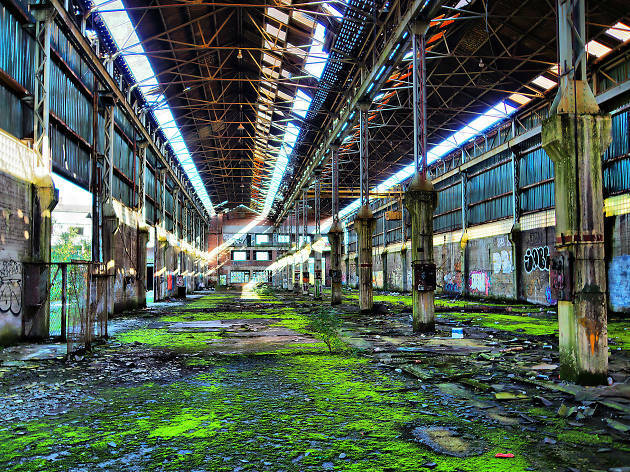 The daddy, however, is the sprawling Abattoir alongside the canal. 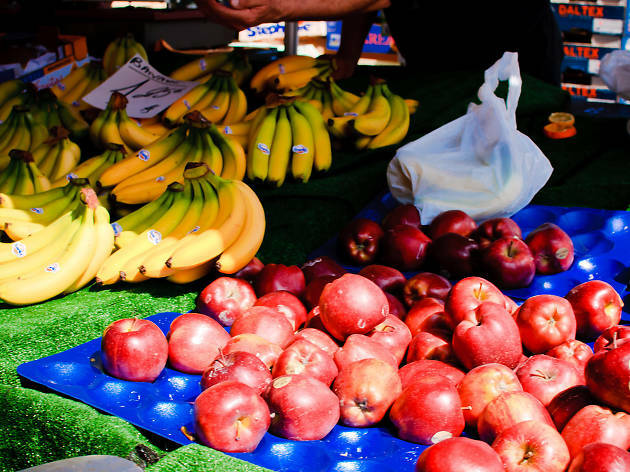 Housed in a former slaughterhouse, it’s a riot of fruit, spices, fish, flowers and more. 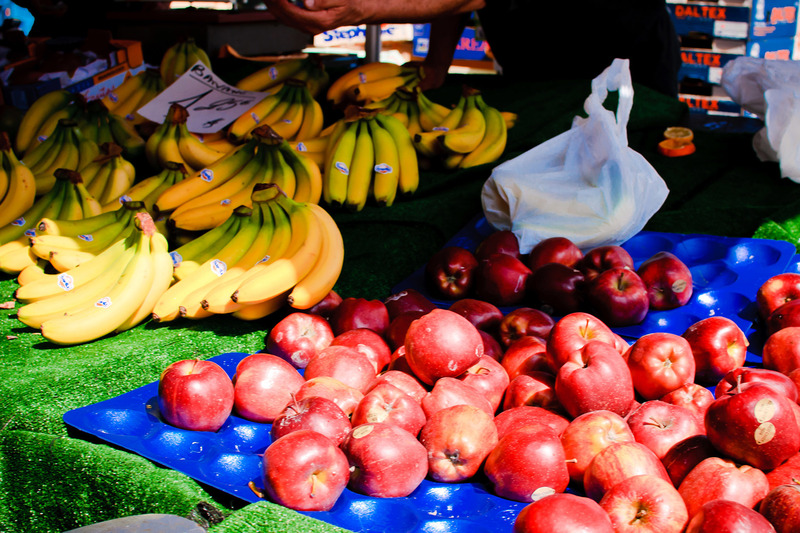 Once a month, chefs take visitors on a tour of the site before cooking and eating their fresh produce together. 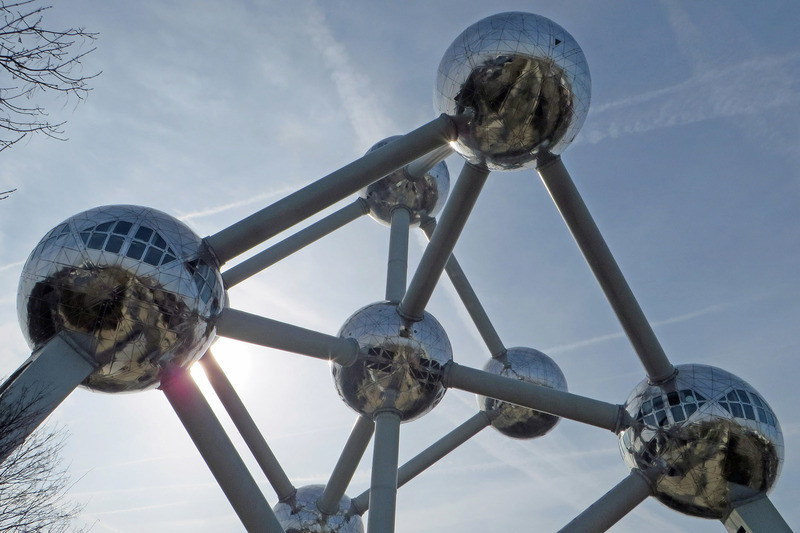 Built for the 1958 World’s Fair, the giant Atomium has just turned 60, and remains one of Brussels’ most distinctive landmarks. 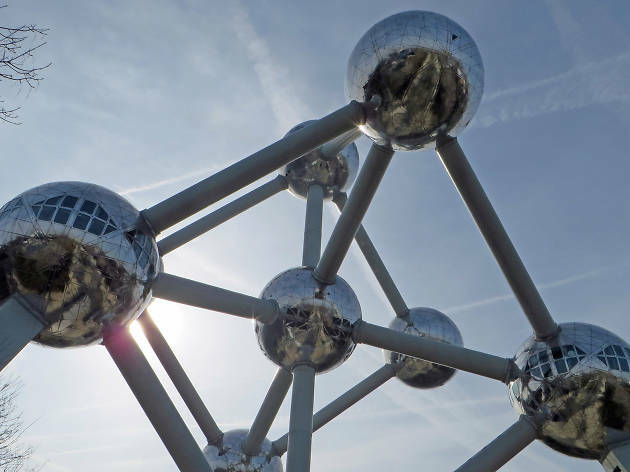 Its design represents an iron crystal multiplied several billion times, to signify the post-war faith in science and progress. A short metro ride from the city, it’s unlike anything else you’ll see on your travels and is well worth a look even if you don’t shell out on a ticket to see the exhibitions hosted in its silver spheres. 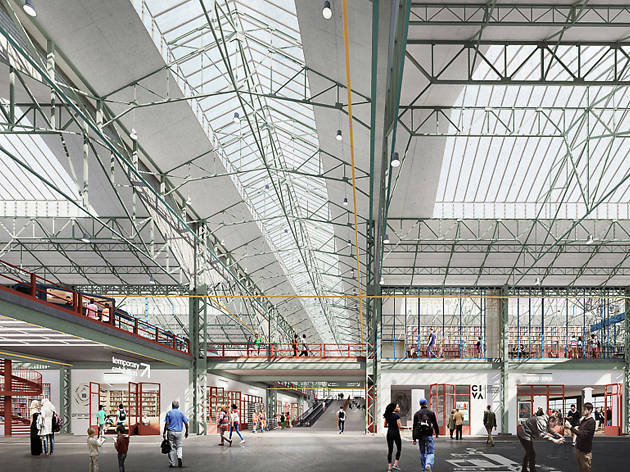 A collaboration with the Centre Pompidou in Paris, Kanal is part of ongoing efforts to smarten up the canal district of the capital. 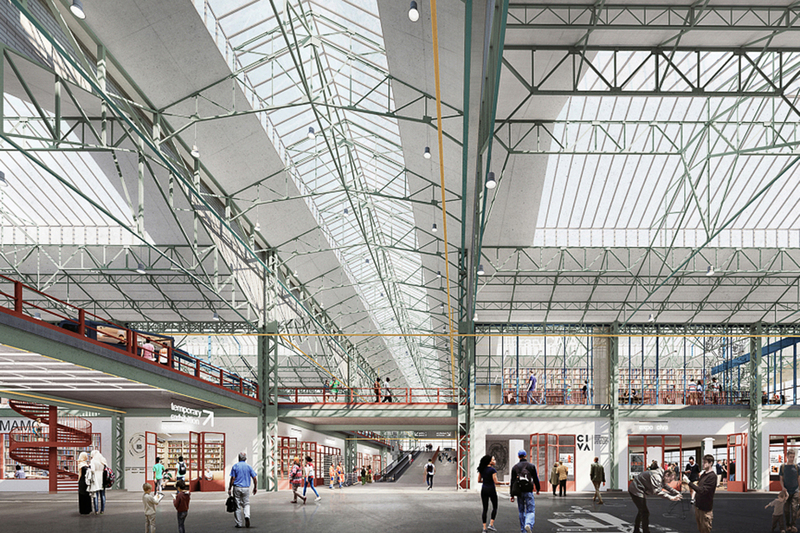 In the summer of 2019, the conversion of an old Citroën showroom will open as Brussels’ brand-new Museum of Modern and Contemporary Art; in the meantime it’s open to visitors in its raw, undeveloped state, hosting art and architecture exhibitions, installations and new creations by local artists.